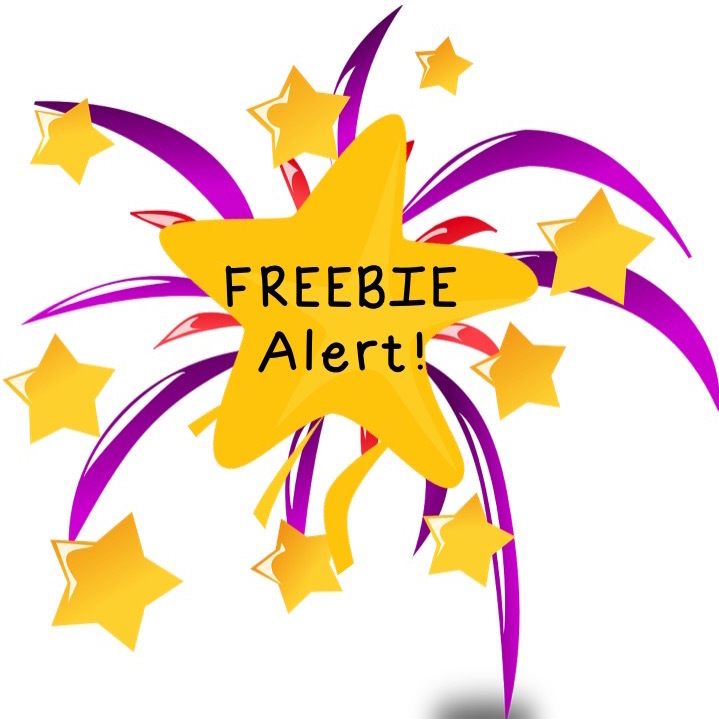 It is freebie time again! If you didn't download last week's freebie, click here. 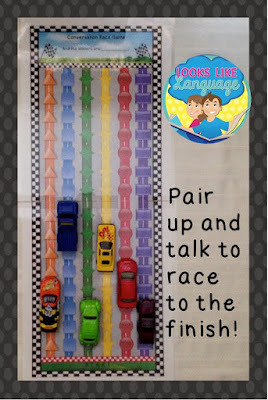 It is an open ended matching game, so you can use it with any work, but it is really easy to elicit the possessive 's ending in this activity. 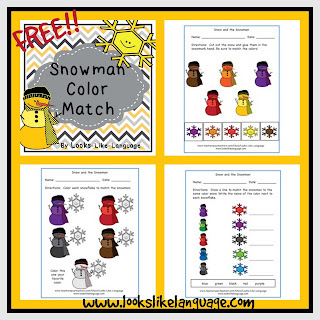 The free worksheets this week are for matching the snowman with the right color snow. It's a quick and easy color review to send for homework. What could be better? 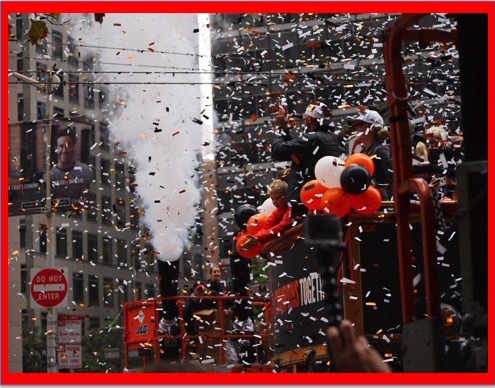 See you next Thursday for another set of worksheets to accompany the game! The Best Laid Plans of .... SLPs? Back on track (ha-ha!) my car idea didn’t exactly work when I grabbed the larger sized cars I had around. The students had to keep the front of the cars lined up with the space they were on, but the cars kept getting knocked into because they were too big. Then, there were arguments about where each student’s car actually belonged. I did get my students to start some conversations with each other, but the best part really was when I had them brainstorm ways they could politely express their opinions about which spot was where the car actually belonged. 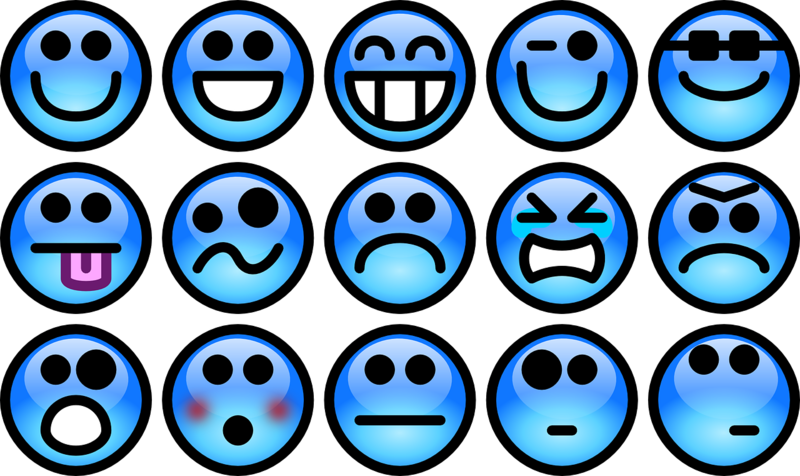 We assigned an emotion to how each of the different choices would make the other person feel and practiced saying the best choice with an appropriate tone of voice and facial expression. So, what do you think I should do next time I play this game? Use the tokens that come with the game or pull out the too big cars again? Maybe actually make that trip to the dollar store for tiny cars? If you tried this game with the right sized cars, let me know if it is actually worth running another errand! Would you share a story about a time when your plan failed but the therapy worked? I can't be alone! Why? It saves you time in the long run and reduces frustration, at least for me! 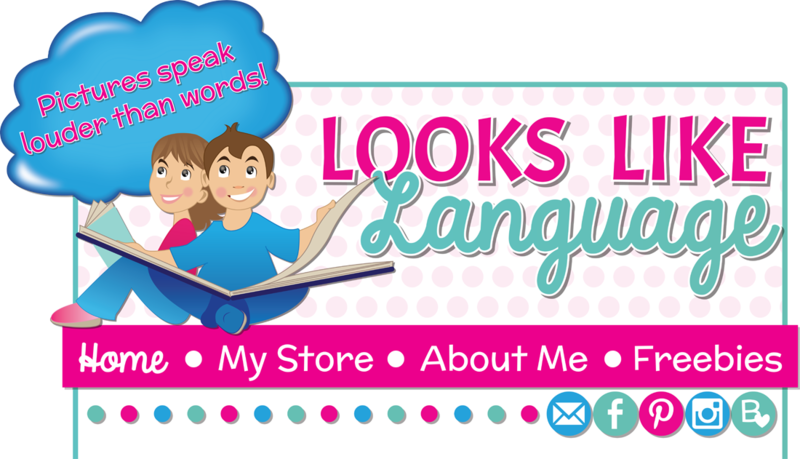 Thanks to the Frenzied SLPS for another great topic and invite to link up! Here's 3 quick and easy tips! Organization is crucial for me, since I absolutely hate wasting time trying to find things I need. Whether you are at home planning for the next day, with kids, dinner and laundry waiting for you, or at school with a ton of paperwork to do, who wants to spend time thinking of all those things feeling frustrated while trying to find what you need? 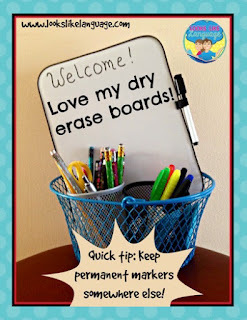 Add to that the fact that I have worked in many schools over many years, accumulating materials for students from 13 months to 19 years old, moving my stuff from school to home to school almost yearly…. 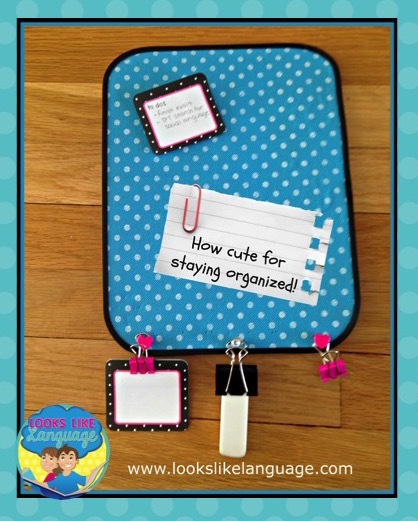 Well, you can see that I have had a lot of reasons and a lot of practice getting organized! It is oh-so-easy to do and has saved me many times. When you print your first, beautiful clean copy of a worksheet, take a yellow highlighter and write your initials in the top right corner. It won’t show up when you photocopy. Resist the temptation to ever use it- that mark lets you know that it is the original and, possibly, your last copy. Page protectors! For many years, I stored all of my photocopies in file folders in filing cabinets. Then, I started to change jobs and move everything home regularly. I found that I could store more in the same space if I got rid of all of the file folders and recycled the extra copies. 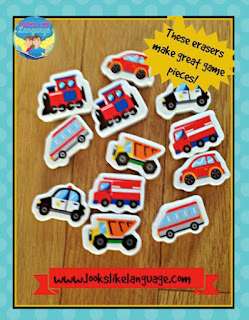 Take a page protector and place all of your highlighted beautiful worksheets for the same skill in that page protector. 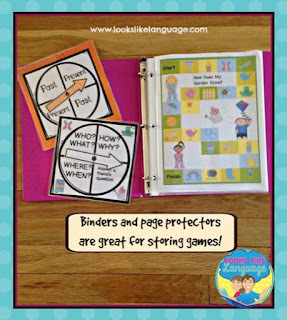 Then, take all of these page protectors, for example plurals, possessives, verb tenses, etc. and put them in a binder marked Syntax. Easy to do, right? A thin binder will fit in a filing cabinet as easily as a file folder and when you have a syntax goal heavy caseload one year, all you have to do is pull out that binder and see what you want to photocopy. What about when you find out that you have only that last, beautiful yellow highlighted copy left and no time to get to the photocopy machine? Reusable pockets and dry erase markers to the rescue! I use these often since it saves on photocopying and my students like being able to choose the color they want to use for the work. They manage to get a little free drawing time in, too, while I am helping the other student in the group or recording data. 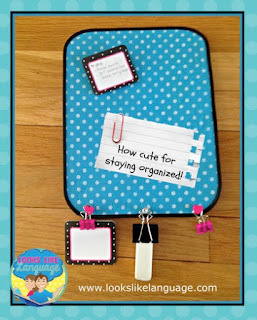 How about a FREE, editable system for labeling those binders? Get it at my store for free! I hope you have been enjoying my surprises for you! Can you believe that it is 2016 already? 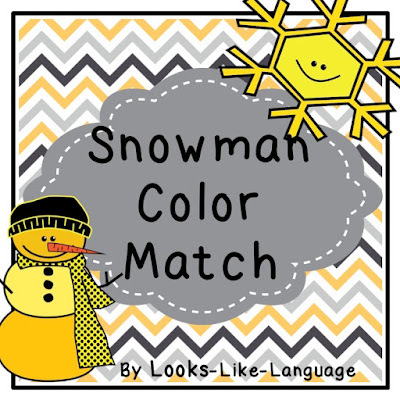 This open ended quick and easy matching game is my New Year's gift to you. Have a happy and healthy New Year! 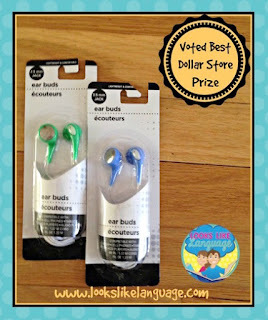 These posts are be short and sweet, but I hope that you will think the freebies are awesome! Just be sure to check in for my newest additions on Thursdays, since everyone needs a break on Friday! Maybe my freebie will provide that for you! 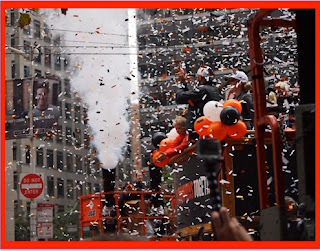 Share the love- thank me by pinning or posting the links. When it comes to freebies, the more the merrier! 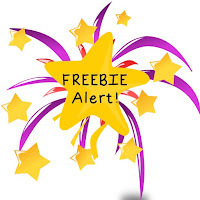 Just click on the cover to get to this week's freebie! Happy New Year! 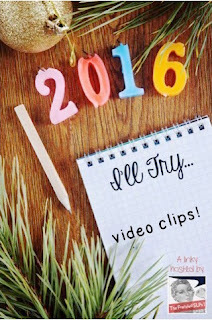 Thanks to The Frenzied SLPs for hosting this fun New Year linky! I just posted earlier this week about the importance of making sure our students learn to think ahead and form goals. New Year’s resolutions are the perfect time to talk about this! I’ve made a resolution, too! This year, I am trying to incorporate more YouTube clips into my therapy with older students. They respond so well when they get to go online in therapy and I love having a change of pace! Many of my students need to work on organizing their thoughts to summarize information. Although they are older, some need to work on narrative skills as well. I have found that using Story Grammar Marker symbols in a graphic organizer format works well for my poor readers as a strategy to work on these goals. It helps them determine the important information and sequentially organize it in sentences. 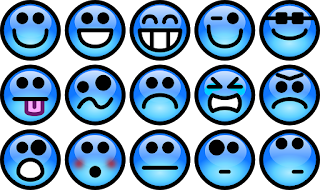 Since the story grammar symbols are familiar and visual, the processing load of reading and thinking about the information is reduced. I hope you like these ideas! What tips are you trying for 2016? 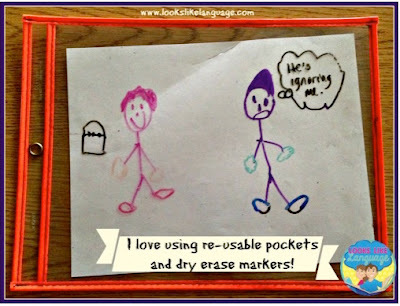 For more great ideas, be sure to link back to The Frenzied SLPs! 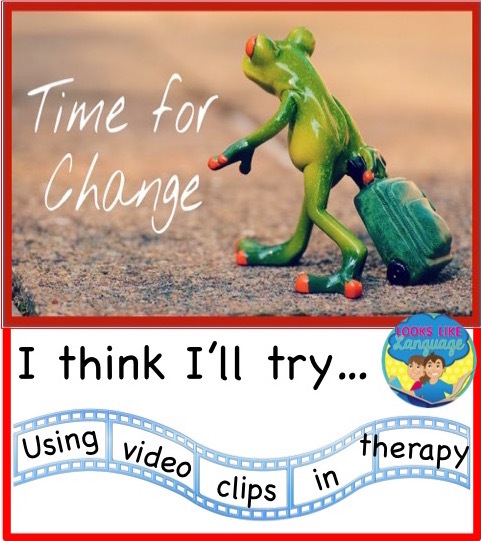 I’ve had a lot of fun sharing some therapy ideas and activities I’ve used when working with younger students, but many of us work with students of varied ages and skill levels. 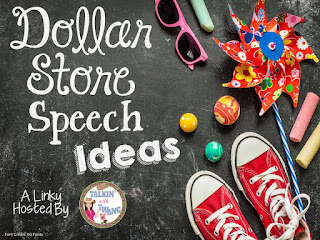 So, my New Year’s resolution for this blog was to start incorporating some ideas that could be used with older students, too. But, if you were loving my posts for younger kids, don't worry! We work with all age levels, so enjoy the variety here! Talking about your New Year’s resolution (and laughing later about how quickly you failed to meet the goal you set!) is such a common occurrence. Have you ever checked to see if your students could set goals for themselves? We provide goals for them yearly, if not more frequently, but as students grow they are expected to be part of the IEP process and give input. Being able to make plans and self-advocate are such important life skills. Do our students have the language to be able to do this? * using negatives “I wish I didn’t”, “I don’t want to”, etc. 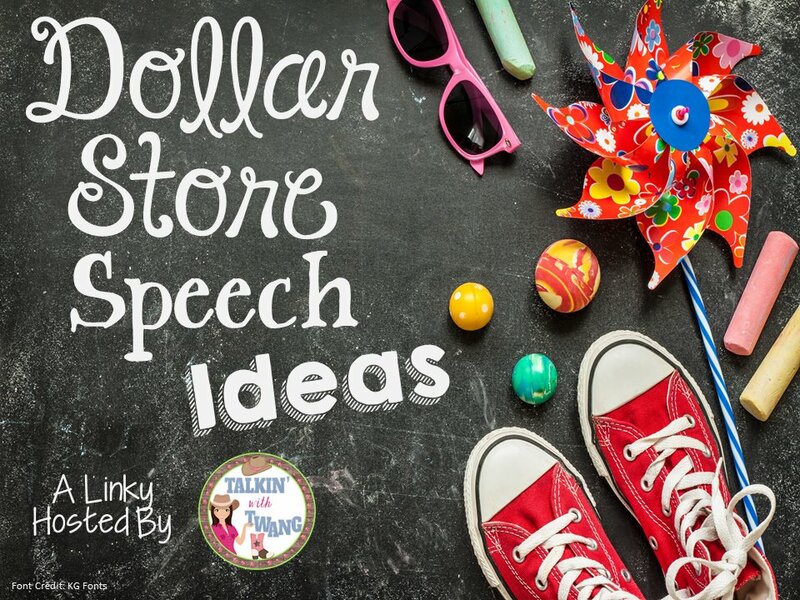 One material that I like to use to help teach these skills is a freebie by Lynn Hubbell, an experienced special education teacher at TpT. Her free social narrative, Sometimes I Feel Green, is a great way to get kids thinking about their feelings and how they can have an impact on whether or not the emotions and behaviors escalate. At New Years, it is a perfect lead in to talking about what actions help them succeed and what actions make their problems worsen. 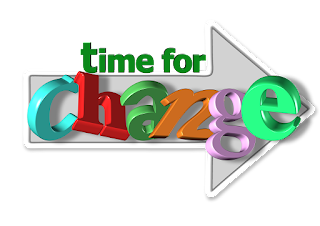 From there, you can discuss that resolution means trying to change to make things better, and elicit something that they think they can try to do more often. 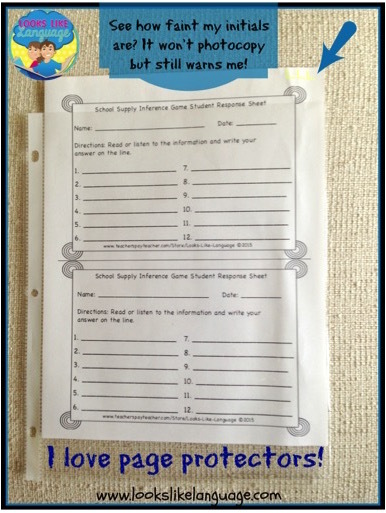 Another free material material that I use is the New Year’s Resolution and Goals Mobile from Created by Mr. Hughes. 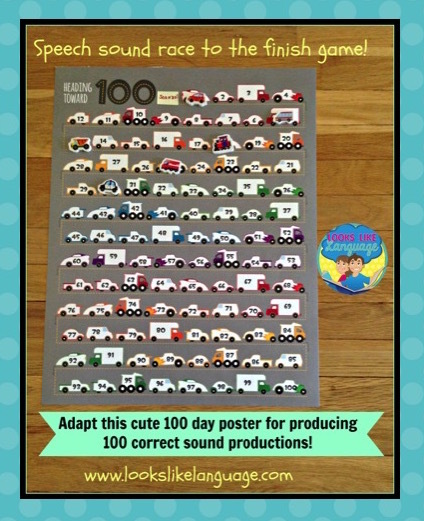 This craft activity has simple language with enough built in guidelines that it is easy to have discussions with your students with your students while working on the craft. 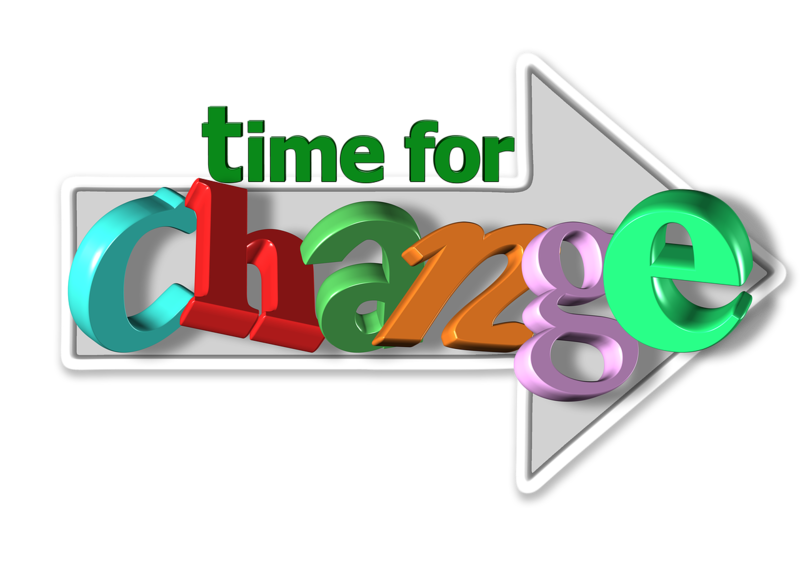 I really like the phrase on the mobile, “New Year, New Me!” for explaining what a New Year’s resolution is all about. For slightly higher students, I like to use Best Foot Forward from Classroom in the Middle. The sneakers make the craftivity cool for older kids and the language is less direct, requiring more thinking skills. I also love that the idiom ‘putting your best foot forward” can be tied in to the resolution theme. If, by any chance, you are one of the people who don’t visit TpT regularly, you really should think about it! There are many wonderful, creative teachers out there who are sharing their skills, often for free! I love the selection of ideas that I am using, but if these don’t work quite right for your caseload, the material for you is just a search away! So, what do you think of my New Year’s resolution? 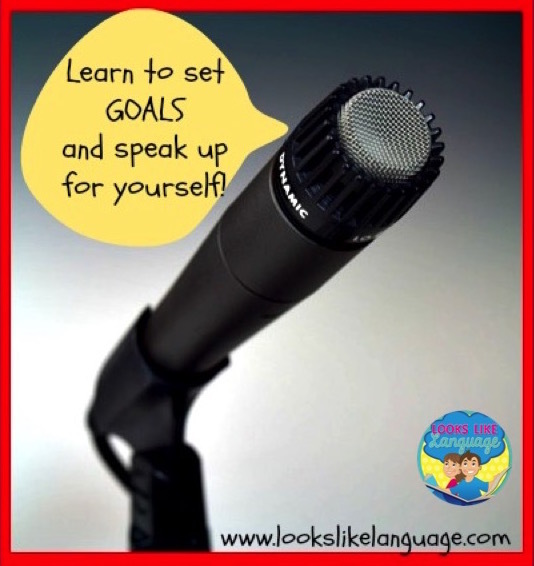 I hope that this has gotten you thinking about how to help your students start learning to set goals! Wishing you a healthy, happy New Year!